I loved flying on airplanes when I was younger. Then, something weird happened to me. I got older and my infatuation with flying slowly evaporated, and it’s all about practicality now. As I have gotten older, I find that I don’t enjoy flying all that much anymore. I am now just all too aware that I am in a pressurized aluminum tube that is flying 40,000 feet about the ground. Last year, I flew to Asia, and it was one of the scariest rides I had ever taken. The plane encountered a lot of turbulence. I was seated in the back of the aircraft. The plane felt like it was fishtailing and rocking back and forth. My fingers gripped the armrest end like I was hanging off of a cliff. I hate those experiences; they make me feel so powerless. I can’t be the only one. Its why we are shocked to hear about plane crashes in the news. People who fly regularly can sympathize and imagine the horror. Hundreds of people die at once. Travelers get anxious. The unsolved mystery of MH 370, for example, keeps me on edge to this day. What’s worse is learning some airlines keep planes that shouldn’t be in service in the air. Like the 737 MAX 8. On October 29, 2018, a Lion Air aircraft crashed into the Java Sea near Jakarta, Indonesia. In that crash, 189 people died. Then, on March 10, 2019, 157 died in an Ethiopian Airlines crash outside of Addis Ababa. Both crashes occurred shortly after takeoff. The connecting factor between both crashes is that both planes were 737 MAX 8 jets. These aircraft were designed in the mid-20th century and were retrofitted with modern technology. Since 1966, no one kind of commercial aircraft has been connected to so many deaths. It has been since determined that a malfunctioning flight control computer system has been the cause of the crashes. After takeoff, the 737 MAX 8 pitches downward, contrary to pilot inputs. Tragically, a third pilot was in the cockpit of the doomed Lion Air aircraft the day before the crash. He correctly diagnosed the onboard computer malfunction, preventing a crash. As a result of the bad PR and worldwide convulsions of air traveler anxiety, governments and airlines all over the world grounded their 737 MAX 8 fleets. 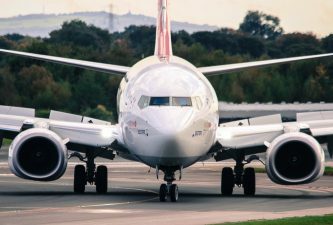 Boeing, the manufacturer of the 737 MAX 8, is promising a software patch to fix the problem. The average airline ticket ranges in price from $400 to $534. That may not sound like a lot, but such expenses add up for people who travel by air often. All 737 MAX 8 aircraft have been grounded. However, if they do come back into service, or another aircraft experiences similar problems, check your ticket. The type of aircraft you board is listed on your ticket. Check with your carrier for all costs related to changing your ticket. Also, keep things in perspective. Commercial plane crashes are horrifying. They create fear and anxiety in the flying public. No one contends that. Still, consider that there are over 7 billion people on Earth. In 2017, over 4 billion traveled by air safely. Crashes are not common, and commercial air travel is a lot safer than you think.